The picture of poverty in the United States is characterized not by gaunt faces, but obese haunches. The 10 poorest states by median income correlate strongly with the 10 states with the highest rates of obesity, a comparison of figures from the U.S. Census Bureau and the State of Obesity shows. 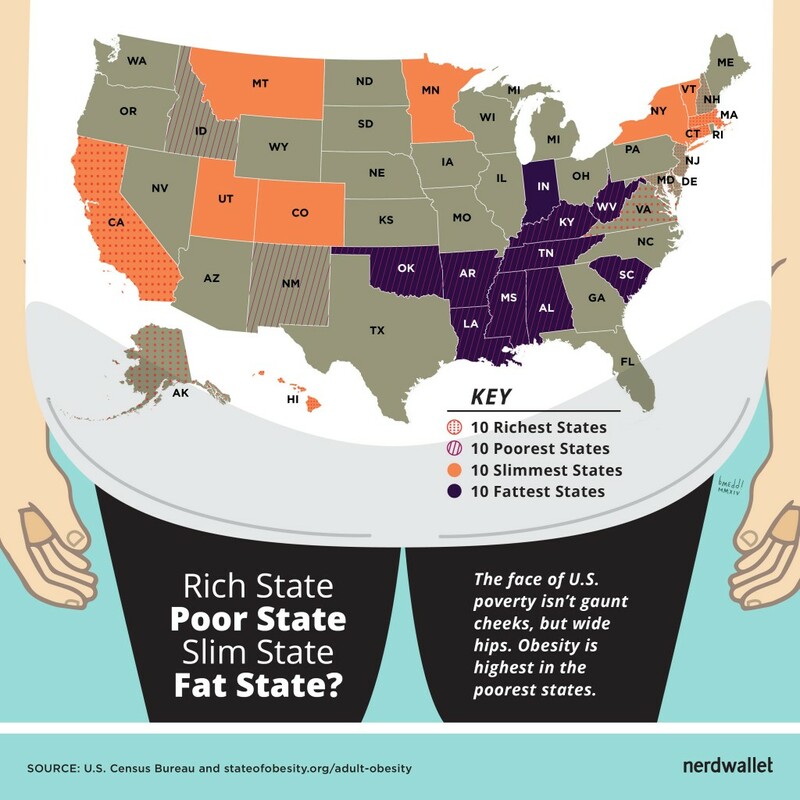 Mississippi, West Virginia, Arkansas, Tennessee, Kentucky, Louisiana, Oklahoma, Alabama and South Carolina are all in the top 10 poorest and fattest states (the only outlier is Indiana, which is ranked the ninth most obese state but is not among the poorest). The findings mirror repeated studies that show a link between poverty and “food deserts” – areas of the country that have poor access to affordable, healthy nutrition. Yet the correlation doesn’t hold true for the richest and leanest states – only California, Connecticut, Massachusetts and Hawaii make the top 10 of both lists. Why not? Income is only one factor that appears to determine a state population’s physical well-being, according to officials at Trust for America’s Health (TAH), a bipartisan Washington think tank that publishes the State of Obesity annual report. Access to public recreation and healthy food also play a strong role. So leaner states like Colorado, Utah and Montana may not be in the top 10 for median income, but they are rich in natural beauty and associated outdoors leisure activities. 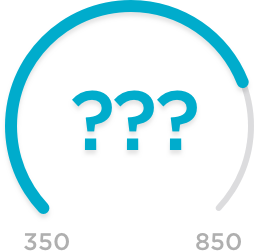 “It all comes down to level of physical activity and nutrition – how much are they getting, what kinds of calories are they consuming?” says Rich Hamburg, deputy director of Trust for America’s Health. “Socioeconomic status largely determines obesity: not having places to be more physically active, not having access to safe parks, living in places where fruits and vegetables are more expensive,” Hamburg says. Access to healthy foods often divides along racial lines, a September report from TAH and the Robert Wood Foundation found. Only 8% of African-American residents live in areas with one or more supermarkets, compared to 31% of white Americans. Obesity rates and resultant diseases, such as diabetes and heart disease, are higher among American minorities – more than 56% of Latino women are obese, compared to 44.4% of African-American women and 32.8% of whites. Regardless of race, the American population has been ballooning in recent decades. In 1980, no state had more than 15% of its population classified as obese; now every state is above 20%, according to TAH. In all, more than one-third of Americans are obese. “This represents a disastrous cost and health burden to overcome, something that will cost taxpayers hundreds of billions of dollars,” Hamburg says. Still, there are some encouraging signs. Rates of increasing obesity nationwide are beginning to slow. In 2005, 49 states saw an annual increase in obesity; between 2012 and 2013, only six states saw increases. Thin man, obese man illustration via Shutterstock. Obesity Rates By State: How Much Does Obesity Cost Where You Live?